No E-mails please - all reservations made by phone. To make reservations or inquiries, please call us toll-free at 1-877-99-RVFUN (1-877-997-8386) or 951-587-0484 any time between 8am and9pm. Nestled beneath the picturesque foothills of the "Rainbow Gap" delineating the Temecula Valley, the RV Resort lies on property belonging to the Pechanga Band of Luiseño Mission Indians. Each of the resort’s 168 sites offers full electric (20, 30 and 50 amp), water, cable TV and sewer service. There are 25 pull through sites available. The Resort is internet friendly with three (3) internet access stations adjacent to our lobby available to guests at no charge. An attractive patio area featuring a full BBQ which can be used on a first come first served basis. A heated pool and two spas are complimented by the beautiful view beyond the patio. We have two large clubhouses. Each room has kitchen facilities with a stove, microwave, refrigerator, freezer, sink, and preparation area. Club reservations are accepted on a first come, first served basis and must be arranged well in advance to avoid disappointment. The Pechanga Gas Station, situated just up the street from the RV Resort offers all grades of fuel including diesel as well as propane. The adjoining convenience store stocks a selection of wine, beer, soft drinks, tobacco products, snacks, necessities and sundry items. Adjacent to the RV Resort is beautiful AAA Four Diamond Award winning Pechanga Resort & Casino offering the excitement of Vegas style gaming, entertainment and fine dining. Take the Temecula Parkway exit. Turn left (east) on Temecula Parkway and travel approximately one (1) mile east to Pechanga Parkway and turn right. Travel approximately one (1) mile to Pechanga Resort & Casino. Take the Temecula Parkway exit. Turn right (east) on Temecula Parkway and travel approximately one (1) mile east to Pechanga Parkway and turn right. Travel approximately one (1) mile to Pechanga Resort & Casino. 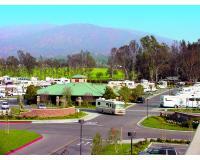 Longitude -117.10647 / -117º 6' 23"
Latitude 33.45327 / 33º 27' 11"
Really lovely RV Park. Used Passport America for a 50% discount. Beautifully landscaped and level concrete parking pads. Stayed in spot C-15 on Christmas Eve and Christmas Day 2013. Wonderful WiFi signal throughout the park. 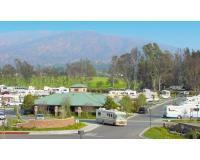 The resort has a shuttle that runs between the RV resort and the Casino. Call 1-877-997-8386 to get the shuttle to pick you up at your campsite. Very fast shuttle service (under 4 minute wait) Runs 24/7 Looking forward to our next visit!